TWO weeks after a report by The ICIR establishing that most federal ministries pay little or no attention to e-mail enquiries, the Office of the Secretary to the Government of the Federation (OSGF) has responded. An enquiry was sent to 24 ministries, including the OSGF, on October 3 and then a reminder was sent to same addresses a week after on October 11, to confirm, among other things, “if the ministry or any department under it has recently put out a call for job application”. Three weeks later, 20 of the recipients, including the OSGF, did not respond to nor acknowledge receiving this enquiry. Some, in fact, have no official e-mail addresses or contact pages on their websites. On Thursday, 36 days after the e-mail was sent and 15 days following the publication of the story, the OSGF has finally provided a response. “Remember, government does not charge money for employment or anything related to that,” it added. 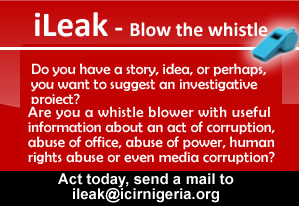 The ICIR noted that the office, in replying, used the same e-mail address to which the enquiry was sent, which Segun Adetola, OSGF’s Assistant Press Director, had said does not belong to the office. “This is not our e-mail,” he had said after the same one on the office’s contact page was sent to him. ANALYSIS: How does FG spend N3.5m monthly on Zakzaky’s meals as claimed by Lai Mohammed?